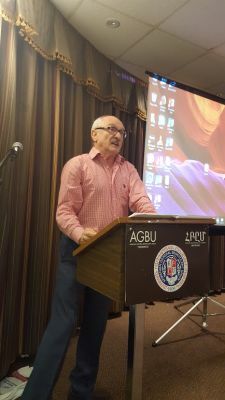 The dramatic vicissitudes of the past one-hundred-and sixty years of Armenia’s history, preceding its independence, were outlined by historian George Bournoutian in a ninety-minute speech at AGBU Toronto on Sept. 14. 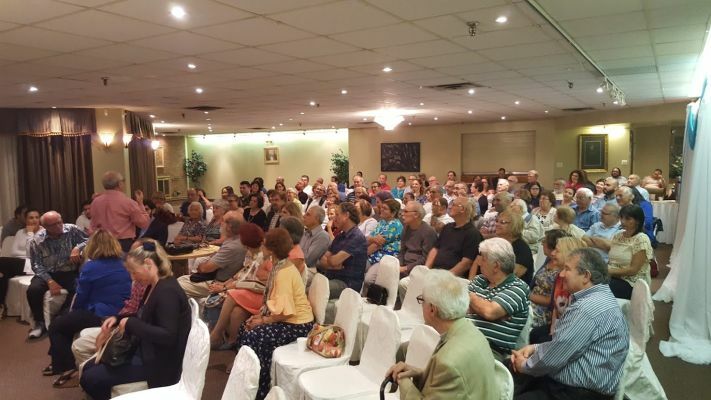 Close to one-hundred people attended. Lecturer, professor, and author of thirty-five books, Dr. Bournoutian divided Armenia’s modern history into three parts: Russian Armenia (1828-1917); Armenian Republic (1918-1920), and Soviet Armenia (1921-1989). Dr. Bournoutian has just published “Armenia and Imperial Decline” which covers the history of Eastern Armenia (“Yerevan Province”) from 1900 to 1914. Published by Routledge, it’s priced at $CDN 140. When tsarist Russia occupied Eastern Armenia in 1828, the region comprised of two Persian-ruled khanates. Initially, the Russians called the land “Armenia oblast” (province) but then changed it to “Yerevan province” because Tsar Nicholas II objected to the return of the name “Armenia”. At the time Yerevan province was a rural backwater compared to Tiflis and Baku. Armenians accounted for 25 percent of the population because economic conditions and wars had driven many Armenians to the comparatively rich Georgia and what was to become Azerbaijan in 1918. The remaining 75 percent of Yerevan province was populated by Turks, Kurds, and Yezidi Kurds, said Dr. Bournoutian. To correct the imbalance, the Russians forced (“Treaty of Turkmenchay) Persia to allow Armenians whose ancestors had been taken to Persia by Shah Abbas early in the 17th century to return to Armenia. The 50,000 Armenians who moved back to Armenia made Yerevan’s population 50 percent Armenian. Russia also sliced part of southern Georgia, including Gyumri, and attached it to Yerevan. While the top officials of Yerevan were Russian, Armenians ran the province because the bureaucracy and business was controlled by them. By 1914 Yerevan was the only territory in the world where Armenians were the majority (60 percent). As well, starting at the turn of the century, Yerevan witnessed rapid advances economically, academically, militarily, and socially. Still not as modern as Tiflis or Baku, Yerevan began taking baby steps to urbanize and develop its economy. Brandy (cognac) and canned apricot were exported all the way to St. Petersburg. There was a cinema which showed silent movies. Thus when the Armenian Republic was born, “the republic was not created out of nothing,” said Dr. Bournoutian. It was the advances made in the preceding two decades which enabled the nascent republic to function, issue stamps, mint currency, have a professional military, obtain recognition from a number of states, and sign The Treaty of Sevres. In the early years, the Bolsheviks imposed a policy which was tagged “War Communism”: they arrested Armenian Revolutionary Federation leaders (although they had promised not to do so); they attacked the Church; introduced equal rights to women; made divorce easy; and advocated free love. Armenians rebelled against these radical changes. Realizing that the acute changes were too much for a traditional society, Lenin abolished “War Communism” and nation-building became the slogan of the republic. In the next seventy years of Soviet regime, Armenia became urbanized and industrialized. Giant steps were taken in the arts and the sciences, in architecture, classical music, opera, and ballet. All place names were given Armenian names and a new orthography was introduced. The Pyouragan Observatory was built in addition to a nuclear reactor and hydroelectricity plants. The Battle of Sardarabad and the Genocide of Armenians were memorialized with a monument and a museum. And Armenia’s capital grew from 65,000 in 1939 to 1.2 million when the Soviet Union collapsed. Armenia, with a population of 3.3 million, became the second-densest populated state in the Soviet Union. And most importantly, Armenians developed a strong national identity. The era also witnessed the growing strength of the Diaspora. Dr. Bournoutian wrapped his speech with a quip. He said that in 1828 Armenians depended on Russian protection. One-hundred and ninety-years later, the Russians are back protecting Armenia. 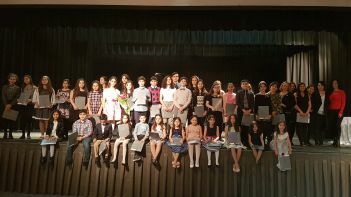 The speech was followed by Q and A.